From Formal Methods to Components: Back to the Future? Professor Kung-Kiu Lau is a senior lecturer in the School of Computer Science at the University of Manchester, where he leads the Component-based Software Development group. He is the editor of a book series on Component-based Software Development, published by World Scientific. 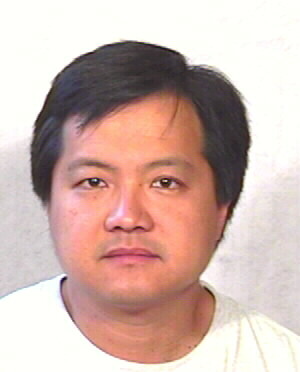 He is a member of the editorial board (area editor: Logic and Software Engineering) of the Journal of Applied Logic. He has been a principal investigator on several European projects, including CESAR (2009-2012), and EMC2 (2014-2017). He has served on numerous international conference programme committees. Most recently, he was programme (co-)chair for the Second European Conference on Service-oriented and Cloud Computing (2013). Abstract: The presentation will look at the IoT value chain from a testing perspective, with a focus on security aspects. Topics to be discussed include: securing devices provisioning, updates and wireless connectivity, compliance and security validation of IoT data platforms, semantic interoperability validation. Discussion will be illustrated with results from on-going research projects and industrial perspective will be given by highlighting relations to standardisation activities. Dr Franck Le Gallis COO at Easy Global Market, an innovative SME focused on integration and validation of emerging technologies. He is driving company development of advanced testing technologies as well as integration of IoT and data platforms. He involves himself in standardisation area including oneM2M and FIWARE. Previously, he has participated in large R&D projects within the big industry (Orange, Alcatel, Thomson) and spent 9 years as Director within an innovation management company. He directed more than 10 large scale projects and studies related to the evaluation and monitoring of innovation and technical programs as well as research projects. Holger Giese is a full professor at the Hasso Plattner Institute for Software Systems Engineering at the University of Potsdam. Beforehand, he was assistant professor for object-oriented specification of distributed systems in the Software Engineering Group of the University of Paderborn since 2001. He studied technical computer science at the University of Siegen and received his engineering degree in October 1995. He received a doctorate in Computer Science at the Institute of Computer Science at the University of Münster in February 2001. His research focus is on the model-driven development of software-intensive systems covering the specification of dynamic and flexible systems by services, collaborations, patterns, and components, approaches to analyze and formally verify such models, and approaches for model synthesis. The main focus are systems that are typically distributed systems, embedded real-time systems as well as systems that are capable to adapt and coordinate themselves. Furthermore, he does research on model transformation, concepts for generating source code for structure and behavior, and the general problem of model integration during the process of model-driven development. He is member of the Association for Computing Machinery, the IEEE Computer Society, and the German Informatics Society.